If you read my 2014 End of Year post then you know Emery Lord’s Open Road Summer was one of my favorite books last year. With her kind of writing, it was obvious to me I’d be a fan of any books she’ll write in the future. So I wasn’t worried if The Start of Me and You would measure up to Open Road Summer because I didn’t put them up against each other and in turn, I ended up loving The Start of Me and You for its very own reasons. My favorite thing about this book is the friendships. Paige has a great group of girlfriends. They’re each unique and each is into their own things and it’s exactly how I wish all friendships were. So often girls band together on their common interests, and even worse, at times girls will morph their interests to fit into certain groups. I think Paige had this idea of the girl she should be and the things that girl should be into in order to stand out in this group, but her friends loved her because of the real her. It was really great seeing her realize her true self. She’s super smart and she learns to embrace her nerdiness when in the past it was the source of her torment. Max Watson is definitely the main reason Paige learns to embrace it. She sees how unabashedly nerdy and confident he is. I think he really inspired her. Paige really evaluates a lot of things after her boyfriend died, but it took a while to get there. She really shut herself off for a while there and was afraid to do a lot of things. She does an awful lot of growing and it was written so smoothly and authentically. Another thing I really enjoyed was Paige’s family situation. Like, what the hell, guys?! LOL I found the whole thing with her parents hilarious at first, but I get it. And her Grammy! Oh, Grammy. She’s one of the best. I have a feeling it’s going to be difficult to not have The Start of Me and You on this year’s End of Year favorites post. The story is great and the characters are even better. Fans of YA Contemporary should not pass this one up! 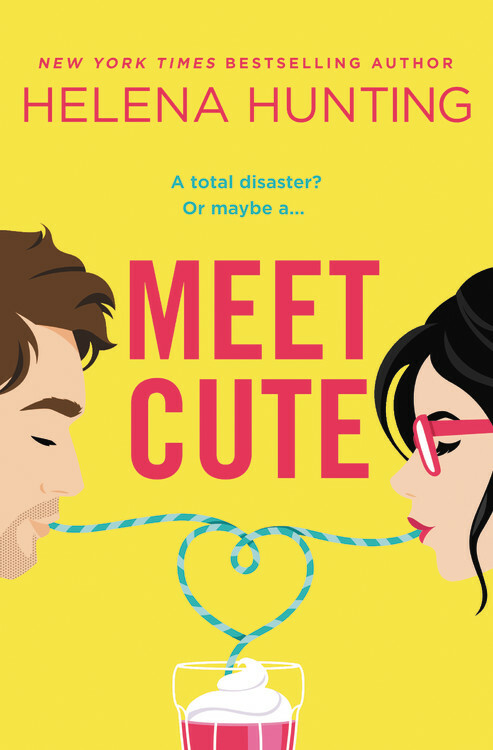 Emery Lord is a 20-something Midwestern girl who writes stories about high school and best friends and weird families and the crushes that make you feel combustibly alive and also more awkward than you thought was possible. If you’re not sure how to pronounce Emery, try slurring the name “Emily,” and that will get you really close. She lives in Cincinnati in a 100 year-old pink row house with her BFF/husband, a closet full of dresses, and lots of books. If karaoke-ing in grocery store aisles or guzzling coffee while impulse shopping were illegal, Emery would be writing her overemotional YA books from jail. Also, she makes up words sometimes. Like combustibly. I’m really looking forward to grabbing my copy tomorrow ^.^ I love love love books about friendship! Great review! I am still not totally sure if I want to read this one or not, but I love that there are some great friendships in this one. That is rare. I’ve been hearing how great the friendships are in this book and that makes me happy. I definitely need to read this. I’m reading this one now, and I am really enjoying it I’m so glad you enjoyed this one. Oh I need to get this book for my friend Wendy’s daughter. She just got into reading and love YA Contemporary Romance. This sounds perfect for her! I LOVED The Start of Me and You! The friendships were so, so important and well-portrayed. And I really liked that family played a big role in Paige’s story too! Emery is such a great writer, and I’m looking forward to more books from her.